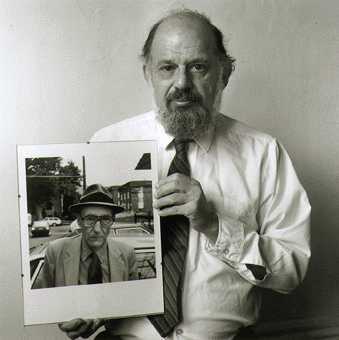 Ted Dunn collects strictly Beat Generation material, focusing primarily now on William Everson / Brother Antoninus though some may not consider him a member of that elite grouping that included Burroughs, Kerouac, Ginsberg, Corso etc., though he should be regarded as a forerunner as an activist poet and self-made printer of relevant poetry leading to the San Francisco Renaissance. Dunn’s collection consists of all aspects of printed material including books, broadsides, letters, handcrafted cards, a scroll, photographs, drawings, lithographs, etc. Material ranges from reading copies to deluxe, limited editions. An abundance of signed and inscribed copies highlight his library. When you began book collecting did the angle of financial investment play into it? Do you consider your collection an important asset in your portfolio? My collecting from the beginning up until now never involved the aspect of investment. I have never acquired an item or any material with the idea of future monetary gain. So, I do not regard my collection as an investment as I would the money market, stocks, bonds etc. My collection is a complete entity void of dollar value. I think it all depends upon the material. Right now there is a definite lull in activity, a sluggishness or stagnation in choice material moving off the shelf. At this time I wouldn’t bet on my collection benefiting me in my retirement. I know you have sold pieces of your collection over the years. What factors play in to you selling what you have acquired? There aren’t that many factors other than a lessening interest in the material over the years and an increased interest or coveting of different objects whether it is a book, broadside, correspondence etc. Because of a definite increase in asking prices for material over the years it is necessary to weed out the duplicates (if any) and in some cases sell four to acquire one. Mistakes are to be made and regrets will occur. Certain collecting habits can hinder the scope of a complete collection. Sacrifices sometimes need to be made. In your experience collecting counterculture material, how have these items appreciated over the years? 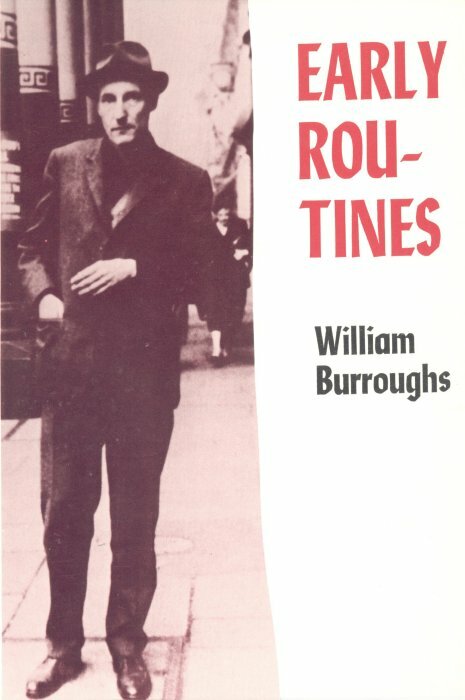 What is your sense of the health of the Burroughs market over your collecting life? I am extremely fortunate to have acquired the Burroughs material when it was far less expensive than what is being asked at the present time. Much of what I have in my collection I don’t even see being offered. An incredible appreciation has occurred within the last fifteen years or so in counterculture material such as Kerouac, Snyder, Ginsberg etc. With all of these authors I have noticed also the lack of much material no longer being offered which may be an indication of collectors holding onto their treasures as an investment or merely an unwillingness to release them back into the wilds from captivity for any of a number of personal reasons. You have been collecting for quite some time. Can you describe what the rare book market was like in 1993-1994 during that downturn or after the crash in 2001? There was an abundance of material available. I personally had to make many serious decisions regarding what to acquire and what to disregard in hopes of it still being available at a later time when funds were again at hand. And here unfortunately mistakes were made and regrets occurred that I mentioned earlier. In a recession, do you find that there are more quality books available on the market, i.e. people need cash so they sell their books? Brian Cassidy wrote on his blog that more customers are selling books lately. Have you noticed a change in the supply recently? I have not seen evidence of that strictly because of a recession, and I’m not quite sure that quality plays into it. There have been a number of auctions recently where the condition of material has been mediocre and somewhat unappealing to collectors such as myself who have a particular standard when it comes to numerous flaws that distract one from any consideration of involvement or participation. Naturally there are different ranks of collectors and I tend to think that a serious collector would have to be quite desperate in order to relinquish a quality book to sustain a lifestyle or economic necessity. I have only been collecting since 1993 (a down economic market), but I remember the period from 1998-2000 as a remarkable time in terms of the Burroughs and counterculture market. The dot-com boom in Silicon Valley really brought out the great material. Did you find the same? For me there is no correlation between economic events in either direction and my notice of material surfacing on the market. My collecting has been a steady progression regardless of outside influences. As for the two-year period that you mention, I can honestly say that I cannot pinpoint those years as any more remarkable for me in acquiring material than either before or after until now and the last five years as being less fruitful. Of course it goes without saying that the Internet has played a tremendous role both encouraging and detrimental to collecting. Do you find yourself buying aggressively in a down market or do you pull back on your collecting activities? It is difficult to buy aggressively in any state of the market when material is lacking. Personally, if there is something of interest that I find appealing and desirable, I will make an effort to acquire it. As I mentioned, for me, there is no connection between my passion for collecting and whether or not Dow points up or down. It does bring to mind though, regarding the economics of book collecting, the whole matter of supply and demand. I have noticed a down trend in both when it comes to interest in counterculture material especially the Beats, and in particular the rarer, scarce limited edition type tome. Unfortunately, prices for ones that are presently offered have skyrocketed to such an extreme that it is virtually impossible for even those seriously interested in the books to afford, especially collectors just starting out with limited cash flow and those unwilling to risk credit. Interview by Jed Birmingham published by RealityStudio on 30 June 2008.